This KIT Version of our T2P-Switch upgrade gives you 4 Pure Analog pickup tones on any standard Precision Bass instrument with two offset pickup coils. This is a do-it-yourself project that includes everything you need to install this upgrade into your Precision Bass or equivalent instrument. This product contains two mini switches. 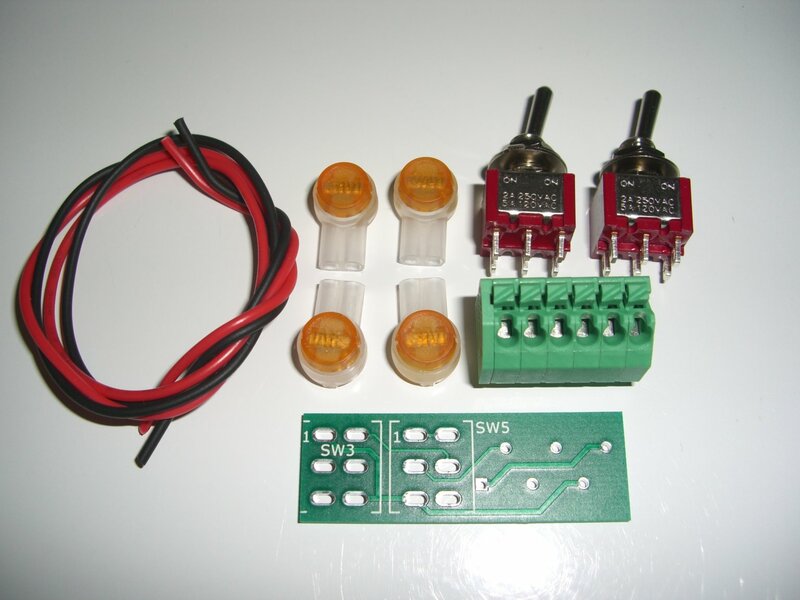 One of the switches let you put both pickup coils in normal phase or reverse phase. The second switch lets you select whether the two pickup coils will be in a parallel or series circuit. Putting pickup coils in a series circuit lets you create a humbucker heavy-metal pickup tone. To connect your pickup and output jack wires to this product, no soldering is needed. Existing volume-tone control may require rewiring. Because you get a 30-day Return guarantee, you can buy this upgrade with confidence. Quadruple the number of pickup tones on your upgraded instrument. You have nothing to lose except your lack of creativity.